Three of the largest PC manufacturers in Japan may be looking to join forces and merge operations. Japan's Nikkei news reported that Fujitsu, Toshiba and Vaio may combine their operations in a move that would create a single, dominant manufacturer that controls 30% of Japan's domestic PC market. According to the report, each of the entities would have roughly equal control of the new company, and likely the Vaio name would survive the merger. Toshiba, Fujitsu and Vaio's leading shareholder, Japan Industrial Partners, would each have 30% ownership of the company. If accurate, this would be the latest shakeup in the personal computing industry. 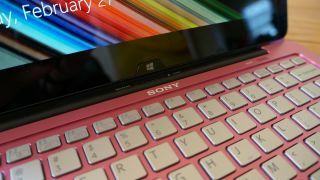 Most recently in Japan, Vaio emerged after Sony spun off its PC business. Prior to that, Japan's leading PC manufacturer, NEC, merged its operations with Lenovo. In the US, HP recently split its personal computing business from its enterprise business, and Michael Dell took his company private. The merged company would build on the strengths of each of its players. Toshiba's biggest market is North America, while Fujitsu's stronghold is Europe and Vaio enjoys strong worldwide brand recognition. The news, however, may not be entirely surprising given that Fujitsu had announced it would spin off its PC business in spring 2016, and Toshiba is looking at a drastic restructuring following the discovery of its accounting fraud scandal. Toshiba, Fujitsu and Vaio shipped just 6% of the 308 million PCs sold worldwide in 2014, trailing Lenovo, HP, Dell and Apple. The contracting PC market may also play a large factor in the decision to merge. In the third quarter of 2015, PC shipments declined by 11%, according to data from IDC. Demand for tablets is also down, but analysts are hopeful that two-in-one convertibles will be the next hot trend in computing. Even if the Vaio name survives the merger, it's still unclear which company's designs will win. Toshiba gained fame in Japan for its slim Dynabook design and Fujitsu made strides in the enterprise market with its tablets and convertible PCs, while Vaio carries Sony's signature minimalist design. Nikkei also reported that the merger could help cut indirect costs and help when negotiating with suppliers. However, if the parties ultimately determined that there is little benefit for each to merge, the plan could be scrapped.